I love how you phrased that: season of prosperity. It has a certain ring to it. You’re right that my life has not been the most prosperous up to this point. But I honestly feel like I have just about everything I want. I feel like I was waiting forever (a word that I know means something totally different to you!) for Quincy to propose. But now that he has, I am in no rush to get married. 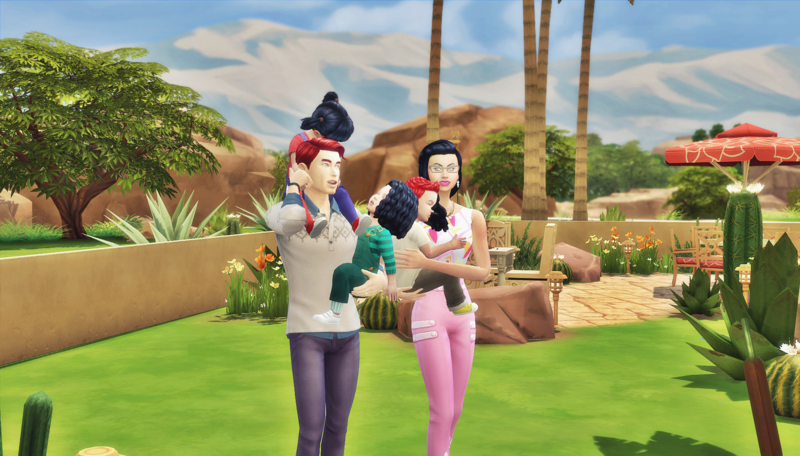 He wants to do it while the triplets are still toddlers. Me? Not so much. I just love our lives right now, and I don’t see why we need to change anything. We have this beautiful hectic home life, where Quincy and I are lucky when playtime outside turns into all three kids agreeing to a nap at same time. My babies don’t care if we’ve got serious adult things to discuss, they want our attention. And when they don’t get it, we see crocodile tears because they’re “stuck” in the high chair, or we see food thrown on the floor. But we make it work, and somehow hold on to our patience. To answer your question, hell no we don’t plan on having any more. I am going to be taking birth control for the rest of my fertile years! I think Quincy wants to move back in with his parents after we get married. I just don’t see how though. There’s no room in that big old house. Every bed except one is occupied! We make enough to cover the bills of this house, so it’s not like we really need them. His parents are still nowhere near their elder years. His sister Robyn is a teenager close to her Young Adult birthday, so she’s the only likely candidate for leaving any time soon. His twin sisters are very near their teenage birthday, so they aren’t going anywhere. And his baby sister is nowhere near her teen birthday. It just doesn’t make sense! My father is–well let me be clear that I love him very much–but my father is not someone I’d want to bring around my fiance or kids. I’ve always had a difficult relationship with my father, and Luca has tried to protect me from so much of that world. People have a tendency to either turn to the dark side or disappear around him. 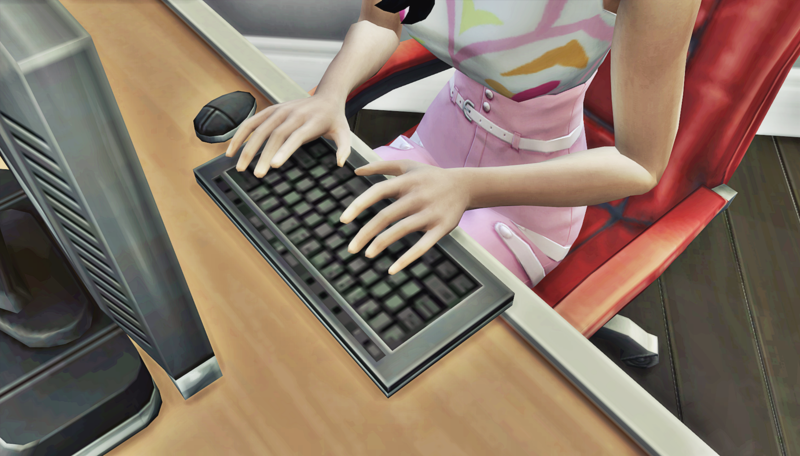 Luca and I basically snuck out of town when we moved to Windenburg, so the residents of Veronaville probably think we were “disappeared” too. If my father shows up one day with pictures of him with me at our wedding, I guess then they’ll finally believe his stories that we moved away so Luca could expand the family business. I want to back up for a moment though. You said you were jealous of my current prosperity. I know you also said your jealousy matters little. But I can’t help but question it. It just doesn’t make sense logically that you would be jealous of me. For the record, I am not upset at the thought, I think a person should have whatever feelings they have, it’s how they handle them that matters. If anything, I’m concerned. I know we don’t know each other that well yet, but I feel as if I am getting to know you, and I think of us as friends now. You have been very clear about your priorities for your life. I know that when the time comes for you to seek a spouse and start producing heirs, you’ll do so. So where did these jealous feelings come from? Did something happen? Does it have anything to do with the vampire you have a “thing” with? The fact that he prefers to live in the shadows is a bit worrying. In spite of that, I can’t help myself, maybe I’ve been spending too much time around romantic Sims, but I’ve started daydreaming of a fairy tale for you, where this man comes out of the shadows and would actually make great husband material for you. Don’t let me go projecting my fantasies on to you though. I’d much rather hear about and focus on what’s real in your world. I understand if you don’t want to tell me. But it seems like you don’t have a lot of people in your current life that you can confide in. Everyone there, well, you’d have to worry about them potentially using any information against you one day. You’d never have to worry about that with me. 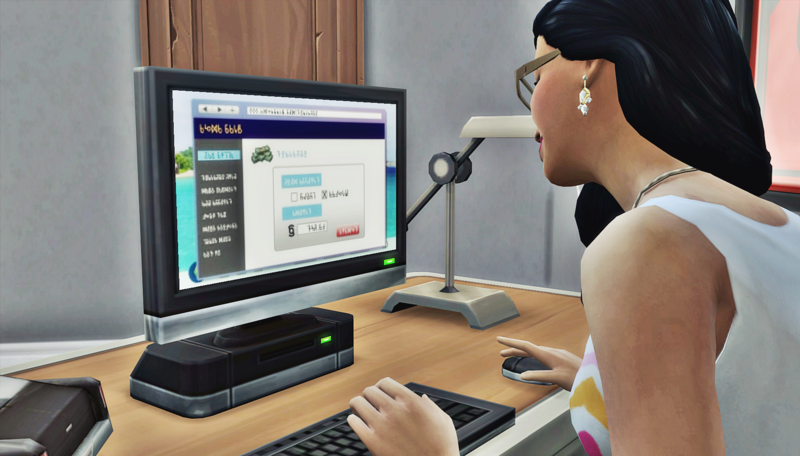 And I’m happy that Carrington has eased up on you about producing an heir. I’m not sure how much time he’s been talking about it, but one can only fuss about something for so long before they realize they don’t have influence over the outcome. Hopefully he stays in the not-fussy box, and let’s you make a choice in your own time when you want to start having babies. I know your view on children comes from a royal perspective, but you are actually not too wrong by naming heirs and spares. My brother is in a club with Quincy’s mom. They’ve dubbed it the Counsel Council. 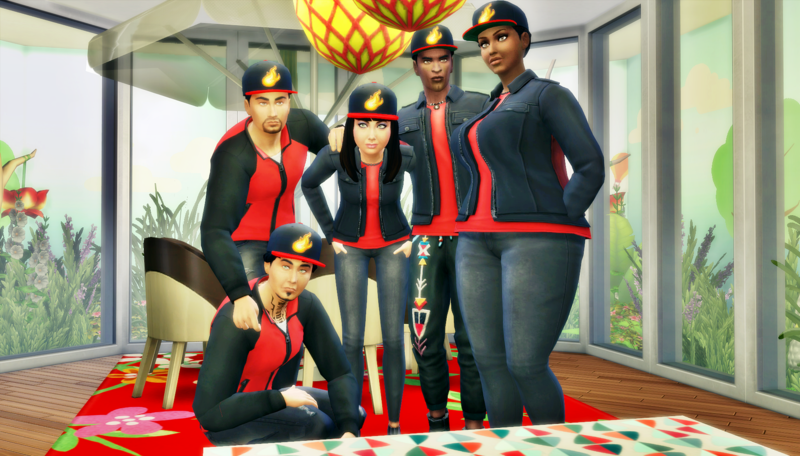 They love the way the club connects our different towns and families, and they each want to pass on membership in the club to an “heir.” They only have one rule though: the heir must be a blood relative of the opposite gender. My triplets are blood relatives of both Luca and Laurel. 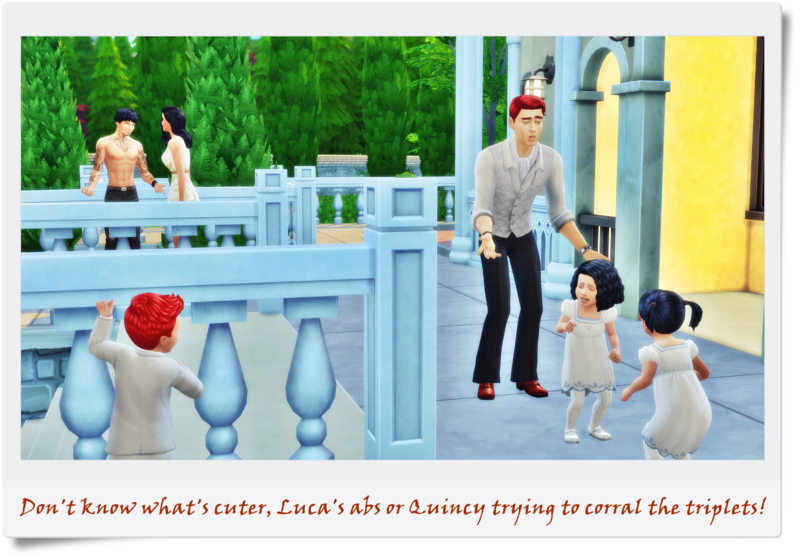 So Henry is a potential heir for Laurel (so is Quincy), and Hannah and Hailey are potential heirs for Luca (and so am I). The club has recently become famous. 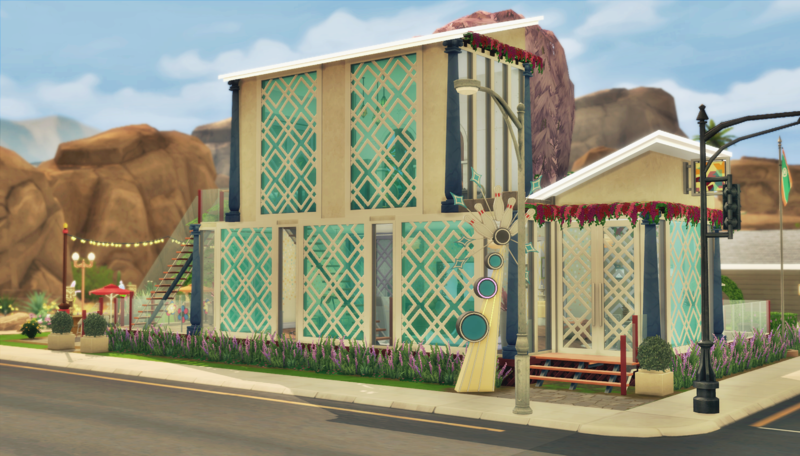 Their matching outfits are very eye catching, and they’ve already donated an amazing family center to the town of Oasis Springs. I don’t always approve of much that my brother Luca does with his time, but joining that club was a great idea. I’d be happy for myself or anyone else in my family to be chosen for membership. You said you wish you could see me when I was proposed to? 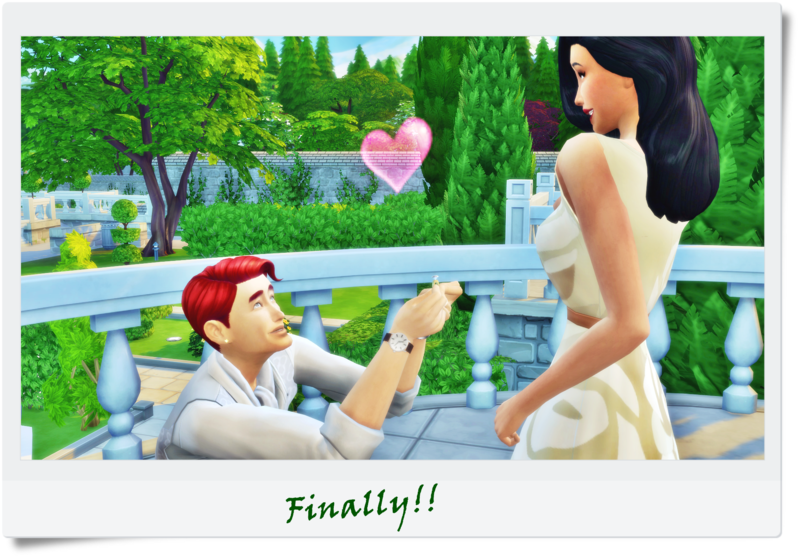 Well, because Quincy invited several family members to the proposal, we have pictures! I’ll include a few so you can see it! 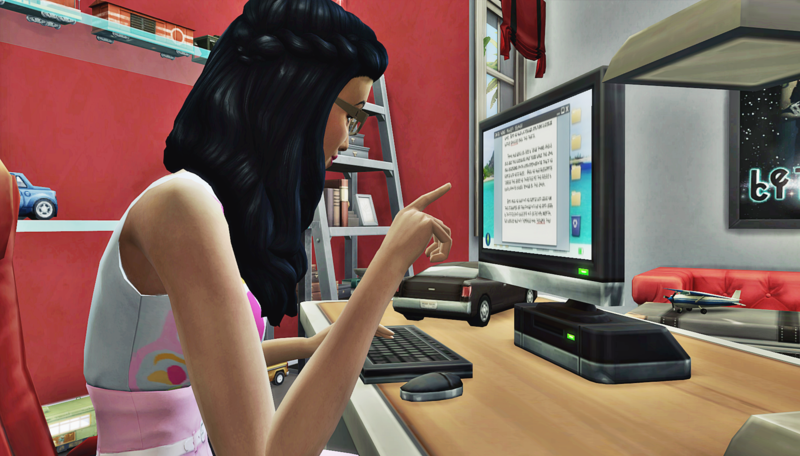 Robyn snapped photos and added fun captions on Simstagram. And since I’m sending pictures… You could feel free to share one as well when you respond. About my promotion, I still haven’t gotten it yet. My mind just hasn’t been focused at work, and I think my boss has noticed. I can’t help it, I’ve got family on the brain these days. I’m sure the promotion will come, but I’m not pressed about it. I can see myself as a journalist, same as you can. But I think the flexibility that being a writer affords is just something I can’t pass up. 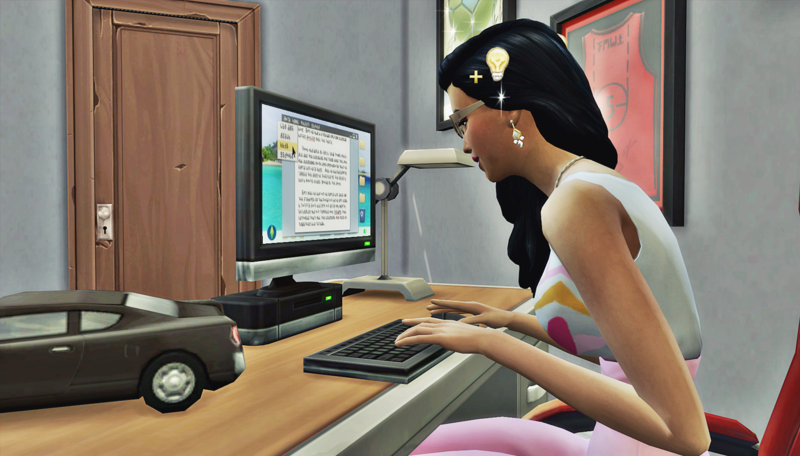 So whenever I do get that promotion, writer will be the career track I specialize in. Now about what you’ve said regarding my brother Luca. I know you weren’t trying to scare me, you were trying to help me fully understand what he’s risking by continuing to think he can bring harm somehow to a vampire. I do want to clarify one thing. He did not go vampire hunting with his friends. They traveled to an area near our towns that’s known for vampire inhabitants. But they were only there to harvest the local wild plants: wolfsbane, garlic, plasma fruit, etc. Luca is the only crazy one who was calling it vampire hunting. I’m so sorry for not making that clear. They were only there to get enough harvests to bring back. One of the club members has added those items to her garden, and Quincy’s mom made garlic wreaths for everyone to hang near their front doors. It’s worked for us, and since then, no one in our circle of families has been attacked by a vampire. I will relay to Luca what you’ve said about vampire strength, and hopefully he heeds the warning. He’s not the best listener though, like some people in your world. And for the record, I would have been happy for you to delve more deeply into your stuff. I don’t mind if your letters get long. I feel like this letter is getting too long, yet here I am, still typing, haha. But seriously, anything you want to share with me, I’m open to hearing. If there’s any updates from the fixer, if you want to share more about your struggles with your people, or even if you want to share something cool you’ve seen on your travels. I’d love to hear it all! Heh, the club looks like a dorky gang LOL. Lol, that photo is Daniella’s view of them. Like an aging hip hop dance crew, lol. Or better yet, a Disney channel show about that crew, lmao. I’m also anxiously awaiting her reply. This is a great letter! She sure doesn’t miss a beat. While reading, I couldn’t help but think about all the ways Daniella has changed and all the ways she hasn’t. It’s so great that Daniella likes her life! Ha! I love that picture of the Counsel Council! It looks like a poster for a reality TV show. Lol, when I put them in that pose I couldn’t stop laughing! In my mind, that’s Daniella’s perception of them moreso than any picture they’d actually ever take. I’m happy you enjoyed the letter. I agree with you that Daniella has evolved in a number of ways. For instance, I don’t think teenage her can imagine having to choose not to be a journalist so she can focus more completely on toddlers. But I think teenage her would just as readily try to sway her brother from bad behavior. Ha! That makes total sense: Daniella’s perception of them. Lol I love it! I’m already thinking up Sienna’s reply!